The growing demand for consumer electronics is a worldwide phenomenon that shows no sign of slowing down. However, this growth is mirrored by a need to dispose of this equipment when it reaches the end of its useful life. Some countries are better able to deal with this discarded equipment and to minimize the potentially harmful environmental impacts, through legislation and regulation. Currently, Saudi Arabia recognizes this and is party to the Basel Convention to control illegal and uncontrolled movements of wastes internationally to reduce bad practices and impact on the environment. 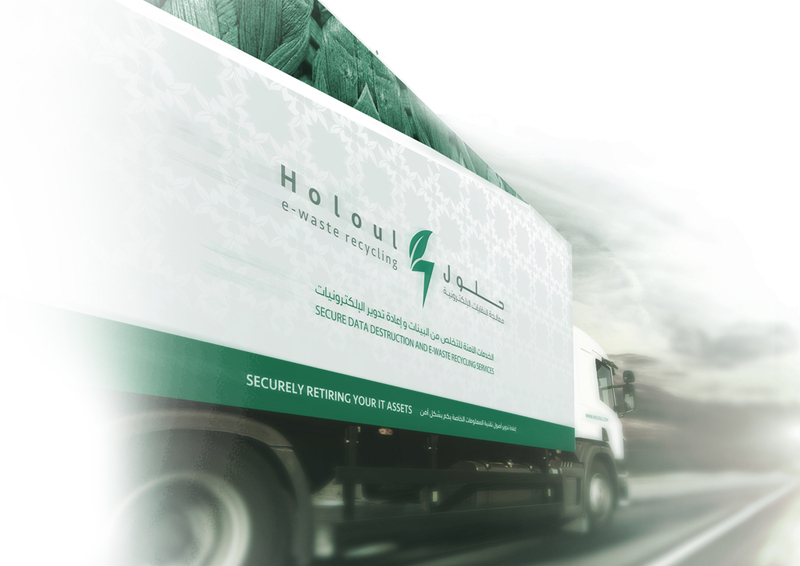 Tadweer, Saker Al Jazirah and Rotoub recognized this need in the market and in 2012 formed the Joint Venture, Holoul Electronic Recycling Treatment Company. Holoul will meet this need for Saudi Arabia and the MENA region. The products from the processes will be returned into the marketplace in an environmentally sustainable way. 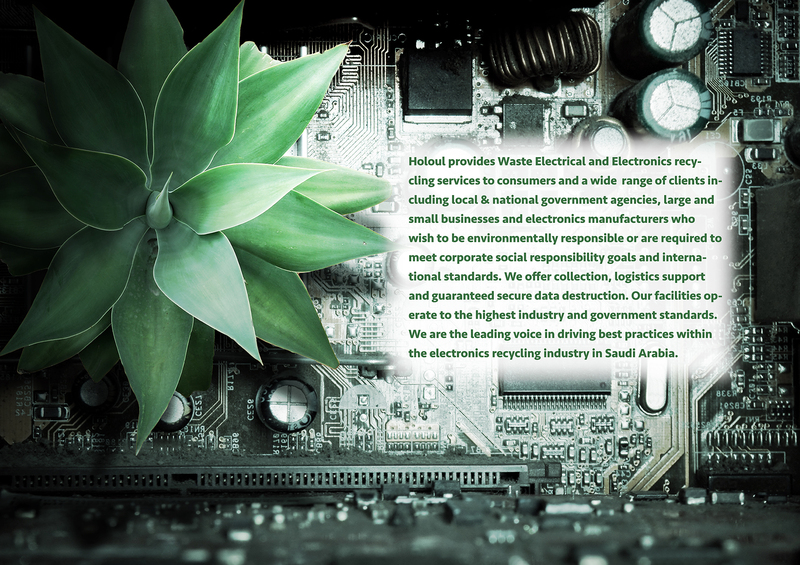 Holoul is strategically located to service the Kingdom of Saudi Arabia with a presence in major cities and is the first of its kind in the Kingdom, providing an environmentally sustainable solution for the ever growing problem of Waste Electrical & Electronic Equipment (WEEE). 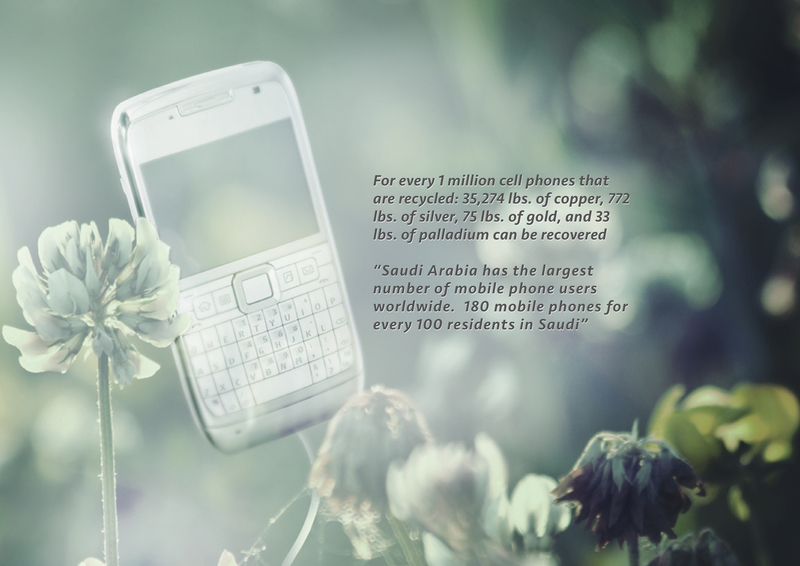 To be the premier E-Waste recycling company in Saudi Arabia and the MENA region. To play a key role in the socio-economic transformation of E-Waste management through our best practices and providing environmentally sustainable solutions. 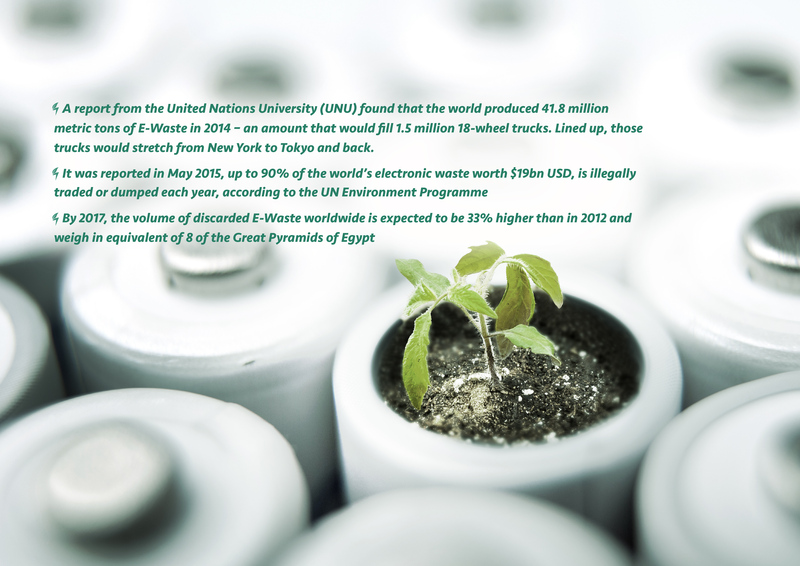 To provide economic development opportunities through the reuse of recovered materials from E-Waste. We are committed to continually innovating and improving our business and processes professionally, ethically and safely to satisfy our customers and shareholders. We pride ourselves in operating to international standards using the latest technology and best practices, whilst ensuring secure data destruction in a safe and environmentally sustainable way. In a vertically integrated environment, Holoul applies state of the art recycling technology managed by a team of industry specific experts. The state of the art equipment operated by the trained staff will ensure that the products and materials produced maximize value and minimize waste, saving natural resources. Holoul prides itself as the Middle East industry leader in state of the art technological advancements within E-Waste recycling. Holoul is dedicated to advancing these technologies in each of its facilities across Saudi Arabia. Holoul has an innovation strategy that is aligned with not only its core mission and values, but also with future technology, supplier and manufacturing strategies. Holoul intends to maintain a sustainable advantage by providing education and training systems designed to equip its staff with the foundations to learn and develop the broad range of skills needed for innovation in all of its forms with the flexibility to upgrade skills and adapt to market conditions. Holoul tracks all E-Waste entering its facilities through a tracking system capable of locating E-Waste at all stages, from receiving reports, to reconciliation reports, to downstream vendors. This assures that all E-Waste received by Holoul is 100% recycled and traceable. Certificates of Recycling & Recovery or Data Destruction can be issued on all E-Waste recycled by Holoul. These certificates validate to clients that their E-Waste, having been received by Holoul is being recycled ethically and in an environmentally sustainable way. For our Mobile Data Destruction service video verification of the data containing media destruction is offered to clients along with certification. This provides additional assurance to clients that their confidential or proprietary information has been 100% destroyed. In recent years there has been increasing concern about the growing volume of end-of-life electronics globally and the fact that much of it is consigned to landfill without any attempt being made to recycle the materials it contains. Holoul will meet this challenge in its commitment to the protection of the environment by integrating environmental compliance into every aspect of our business. WE BELIEVE in being truly green – We are always striving to be as environmentally conscious as possible. We vigilantly seek new solutions and the most innovative ways to reclaim our resources. WE BELIEVE that today’s companies must embrace a triple bottom line. There is no room for a modern business to be anything but socially and environmentally responsible. This new generation of business knows that there is a value in social good that is comparable to monetary value, and is equipped to tackle large problems with efficiency and professionalism. With the number of electronic devices in circulation growing at a rapid rate, hackers and data thefts are increasingly targeting improperly disposed of hardware. 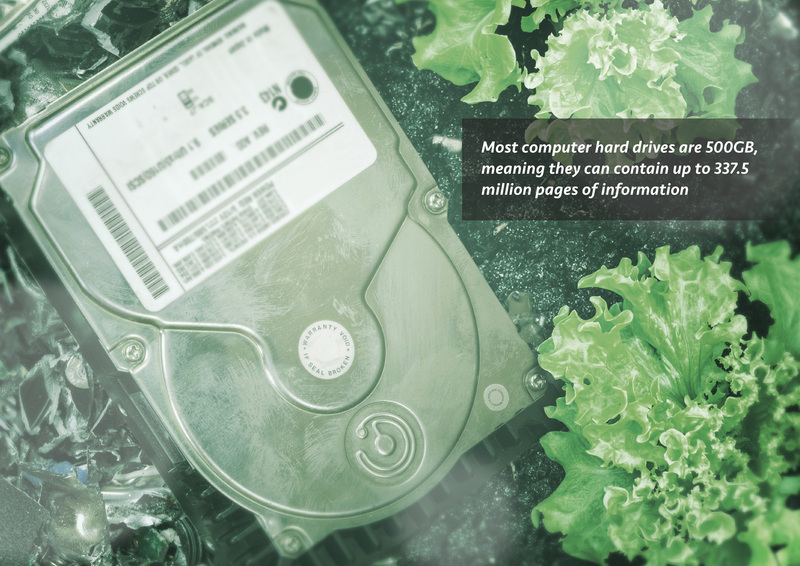 Shredding E-Waste guarantees complete data destruction and most importantly, your security. Holoul takes data protection seriously. In addition to the shredding process, Holoul operates surveillance cameras, metal detectors and third party security at all Holoul facilities, ensuring your device or data never leave a Holoul facility unprocessed. For companies and government organizations that require additional peace of mind, Holoul offers secure on-site shredding at your location. Shredding: Holoul has a fully automated process specifically designed for E-Waste and is one of the most sophisticated in the MENA region. The process liberates and separates the E-Waste into raw commodities, such as metal and plastics, which are sent to downstream partners. This ensures that 100% of your device is recycled and never ends up in a landfill. Holoul’s shredding process was designed with our partner, an industry leading specialist and manufacturer of E-Waste recycling equipment to reflect our commitment to protecting the health of the environment and our co-workers. Our process features a built-in air filtration system that guarantees the shredding process is safe for the surrounding community, co workers and the environment. Want to know more? Data security is a primary concern of IT departments, government agencies and consumers when deciding what to do with obsolete Electrical and Electronic Equipment (EEE). Shredding documents containing sensitive information has been common practice in data security for decades but, as society moves to a more digitized existence both in and out of the office, isn’t it time the same safety precautions and protections were extended to electronic devices? Just think, just 1 gb of data, the equivalent of 675,000 pages of information can be stored, rendering it little surprise that an increasing number of organizations and businesses are mandating data containing media devices be shredded. you can be 100% assured that the device never leaves your site before it is securely and comprehensively destroyed. The market for this service is particularly attractive to corporations and government departments that hold sensitive information in their mass storage devices. The entire process is recorded by CCTV in multiple positions in and around the vehicle. Digital recording of the complete process can be provided. You will be provided with a Certificate of Destruction for each item which records all the details of the process and media destroyed. At the completion of the process you will be provided with a Certificate of Destruction for each item which records all the details of the process and media destroyed. We at Holoul understand the main principles of building a successful brand and that the value of a brand can be significantly affected by public perception. Managing a brand to protect its value can, at times, extend to the disposal of products and stock to prevent devaluing the brand in question. We realize it is almost inevitable that there will be some product produced that is either surplus to requirements, substandard or has a short shelf life. Holoul recognise this and offer a disposal route that is discrete and maintains the integrity and value of the brand. Our services include a commitment to provide an environmentally efficient and cost effective solution for the disposal of stock and complete brand integrity. For commerical clients we can provide a range of packaging and containers with our collection service from small bins, cages and stillage’s up to large bulk loader bins. 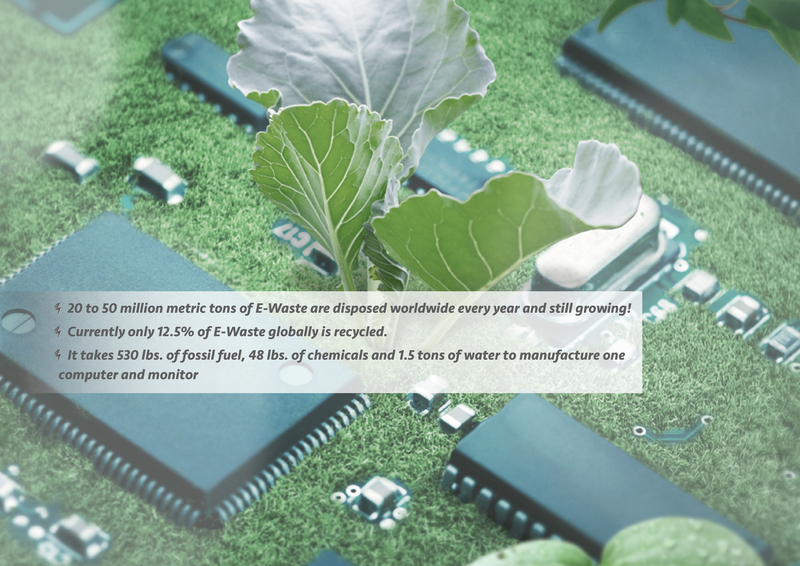 Holoul is poised to grow by leaps and bounds and the company is always looking for talented, green-minded individuals to help fuel sustainable growth in the growing E-Waste sector. Come join Holoul in its pursuit of environmentally safe, socially responsible growth. From the largest cities to smaller communities Holoul can build customized electronics recycling programs to meet residents’ unique needs. Holoul can work one-on-one with local governments to design, set-up and execute electronic collection programs that address community requirements and government capabilities. Whether hosting a recycling collection event for residents or disposing of government-issued electronic devices, Holoul is committed to the highest industry standards for data destruction and environmental health and safety. National government’s cannot afford to irresponsibly dispose of its E-Waste. Costly data breaches can expose government agencies to global security risks. Holoul’s proprietary process ensures complete transparency and verification that all regulatory requirements have been met. Telecommunication companies are often some of the largest producers of E-Waste, given the industry’s need for constant upgrades and newest technology. But the rapid rate of innovation is shrinking the lifecycle of electronic devices and increasing the risk for data breaches and environmental missteps. Whether your telecommunications company is large or a small startup, it’s important to have a reliable partner to help you safely and responsibly dispose of outdated technology when it is deemed obsolete. Beyond E-Waste recycling being the safe and environmentally responsible thing to do, many electronic devices used in the telecommunications industry store personal and confidential data, which must be destroyed at end-of-life. 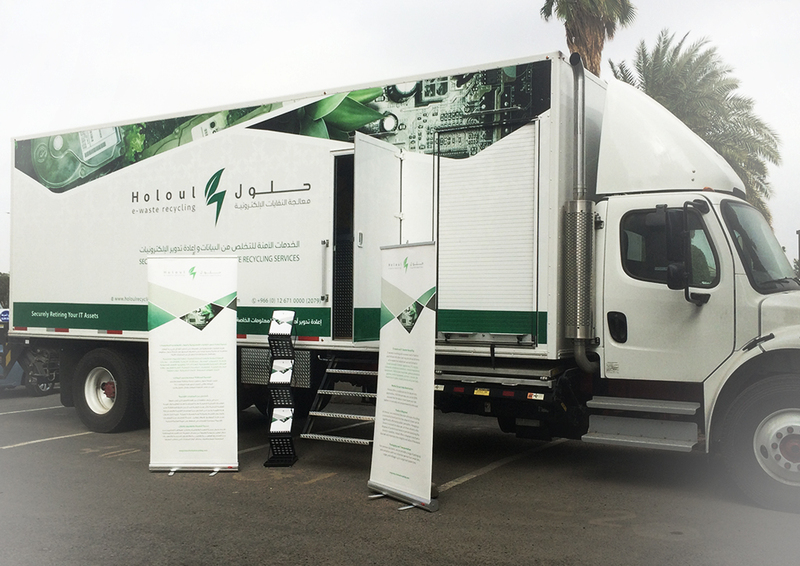 Holoul is the only E-Waste recycler in Saudi Arabia that can guarantee 100% data destruction. Banks and financial institutions face strict regulations when it comes to how they store and destroy sensitive financial information. With credit card and financial data a breach becoming what seems like an everyday occurrence, these institutions are under fire to ensure IT systems are safeguarded both during and after their useful life. As medical records are digitized hospitals, practices and clinics face challenges when disposing of obsolete electronic devices, including legal obligations to safeguard patient data and compliance with regulations. Medical hardware can contain sensitive medical records, financial information, personal identifiers and more; delaying destruction of electronic devices used by healthcare providers and facilities increases the risk of a data breach, which can ultimately result in millions of Riyals of fines as well as a loss of public trust. Technological innovation only continues to accelerate, driving greater competition between fledgling start-ups, major consumer goods manufacturers and even single developers. And with competition comes the need for secrecy and the potential for information leaks and breaches. The race to be the first to market is fierce, making it imperative that tech firms and companies responsibly recycle their mobile phones, hard drives and other electronic devices to prevent losing their competitive edge. E-Waste or Waste Electrical & Electronic Equipment (WEEE) is generally anything with a power cord or battery. E-Waste refers to electronic products nearing the end of their “useful life”, for example, computers, televisions, VCRs, stereos, copiers, etc. What E-Waste DOES Holoul accept? Holoul accepts all types of electrical items such as: electronics, televisions, computers, laptops, IT equipment, household goods, and many more. What E-Waste does Holoul NOT accept? Large white goods such as washing machines, dryers, refrigerators, freezers and air conditioning units. Where can you take your E-Waste? Holoul has locations across KSA where we can take your E-Waste or for large quantities we can arrange pickup. All of your E-Waste items are sent to Holoul for environmentally friendly recycling. Holoul uses dedicated processes to recycle more complex electrical and electronic equipment such as electrical items, IT equipment and hazardous electrical and electronic equipment. Why are Cathode Ray Tubes (CRTs) considered hazardous waste? Computer monitors and televisions with Cathode Ray Tubes (CRTs) have been deemed hazardous waste and should not be disposed of in a landfill. Why, because each CRT can contain lead in the glass, as well as cadmium, silver, gold, and other heavy metals and toxic compounds. Lab studies have shown the potential for these compounds and elements to leach out of the equipment into the landfill’s outflow and cause groundwater contamination. Almost any product with a circuit board is now banned in many countries from the landfill and requires special handling. These products contain toxic substances, such as mercury, lead and cadmium. Mercury, released into the environment through the improper disposal of mercury-containing products, is a known neurotoxin. Why does Holoul offer E-Waste recycling to customers? E-Waste is the fastest growing stream today and Holoul is in a unique position to help our customers. Holoul offers a secure and responsible recycling program and is committed to providing customers with an environmentally sustainable service and flexible recycling options. Do not just throw away your old computer monitor or a broken phone into the trash; Holoul will take your unwanted items providing you with the assurance they will be dealt with in the most environmentally friendly way. Contact Holoul to see where you can drop off your old electronics at our facility at no charge or for large quantities we can pick them up from you.